Eutech's latest SaltTestr 11 now comes with a new temperature display in °C or °F for easy reference during salinity testing, direct temperature readout on the tester saves the requirement for an additional thermometer. 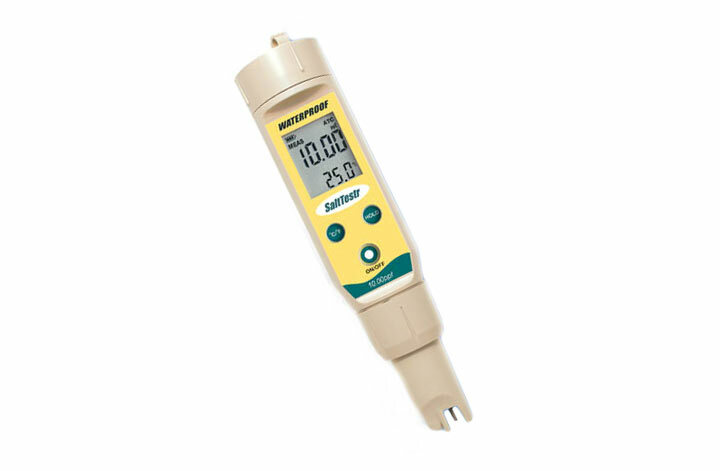 This device is now more user-friendly featuring a large display screen, battery-level indicator, Automatic Temperature Compensation (ATC) and non-volatile memory. The SaltTestr 11 unlike other conventional testers offers accuracy to ±1% full scale. For superior chemical durability the VALOX® sensor casing protects and gives years of trouble-free operation and minimal maintenance, the sensor elements are made of SS316 stainless steel which protect against harsh samples. This device is waterproof and has an anti-roll design which is IP67 rated to ensure that the tester is kept in working order under wet conditions. Plus it is so light it floats!